I’m almost certain that Groovy Tuesday is the only game in existence that lets you rollerblade as an elephant, while throwing musical plugmen around to groovify your boring workplace; is that such a bad thing though? Not at all! Do you hate your job? Is your boss a jerk? Are you an elephant? 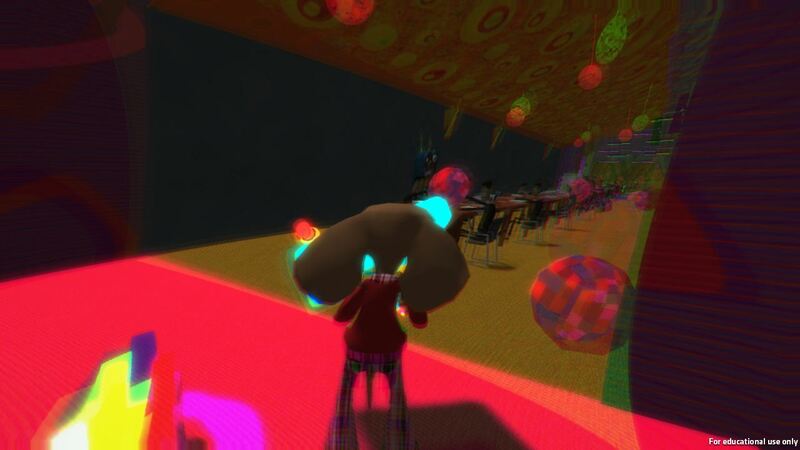 Funkify your Mundane Monday workplace in Groovy Tuesday! Lob musical plugmen in this 3rd person office-adventure. Depart on a spirit journey and feed your coworkers the funk they deserve. It’s hardly the most complex game ever, but I’m willing to bet that it’s the most groovy one by far. I highly recommend steering clear of Groovy Tuesday, should you be affected by photosensitivity however, due to the amount of strobe lights in the game. Something tells me it’s no coincidence that they chose to release it today, being Tuesday and all (very clever). Anyway, Groovy Tuesday can be downloaded from the official website. Have fun!